Creating a natural habitat for your wildlife is one of the most interesting aspects of owning a fish aquarium. In addition to fish, rocks, gravel, plants, and manmade filters, the most ideal fish tank community includes wildlife that would clean the tank in a natural body of water. Fortunately, you have many great options, as some of the top bottom feeders for an aquarium are actually very fascinating to watch as well. Bottom feeders eat the algae, decaying plants, dead animals, larvae, and natural debris that is created in a fish tank. As a result, they help to maintain an ideal ecosystem and keep the alkalinity of the water at an optimal level. The bottom feeders assist the manmade filters in doing their job, and they also enhance the aesthetic appeal of the aquarium. Even if you do add bottom feeders into your tank, you should also include plants, gravel, and rocks as well. All of these elements together help to create the best environment for your fish and other wildlife. 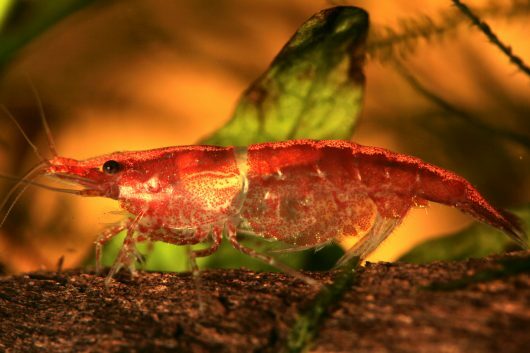 A red cherry shrimp stands on a piece of driftwood. While you don’t want snails to infest your freshwater tank, if you intentionally add a snail to a tank and maintain it properly, it can be one of your greatest assets. The most effective may be the Malaysian trumpet snail, but other popular snails are nerite snails and mystery snails. 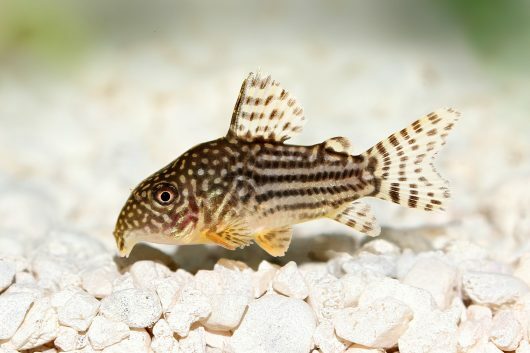 Cory Catfish are among the most popular bottom dwellers. Crayfish add a certain appeal to an aquarium, and they’re excellent bottom feeders. They’re a bit shy though, so you may find them hiding in secret spots in your aquarium. 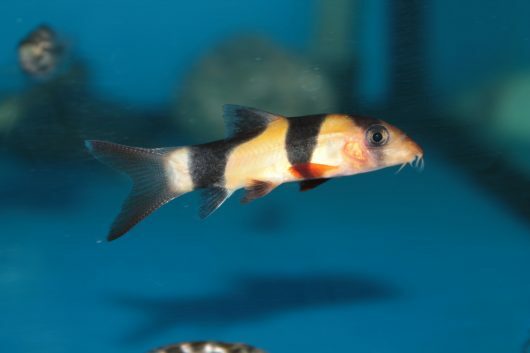 Clown loaches are among several loaches that are used to clean fish tanks. 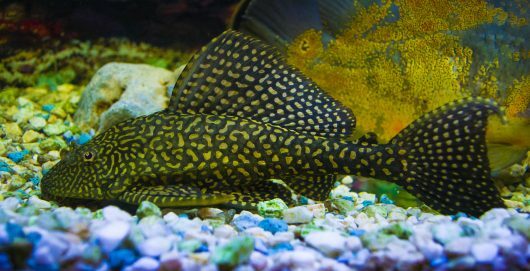 Members of the catfish family, several different types of plecos are often used to keep those fish tanks clean. They grow larger than some other types of bottom feeders and can be very strong. Bristlenose plecos, for example, can grow to four inches and often have large whiskers. A clown pleco is also a popular bottom feeder. 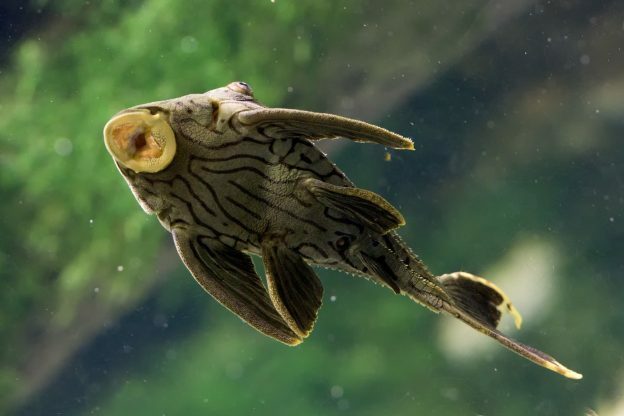 A sailfin pleco, a large and strong bottom feeder, sits at the bottom of a fish tank. Members of the carp family, Siamese algae eaters and Chinese algae eaters are effective in clearing algae out of your tank. They tend to have a stripe along their bodies and can be attractive additions to your fish tank. The downfall is that they can become very aggressive when they’re fully grown. As with any new addition to your fish tank, it’s important to do your research ahead of time to see how well the bottom feeders will get along with other wildlife in the tank. Bottom feeders could eat existing fish or by eaten by them, but usually the environment is fairly peaceful. Contact us at Seatech Aquariums to learn more about how to choose the best bottom feeders for an aquarium. This entry was posted in Aquarium Maintenance, Fish Facts, Water Quality for Fish and tagged Aquarium Maintenance, Bottom Feeders, Catfish, Cleanup Crew, Loaches, Pleco, Shrimp, Snails on October 30, 2018 by admin. Freshwater Aquarium or Saltwater Aquarium: How Do You Possibly Decide? Copyright 2018-2019 | Seatech Aquariums LLC.